Try OST to PST Tool & Do a Safe Conversion of OST File into Microsoft Importable PST File! OST files are quintessential for any organization as they give huge benefits like reading and accessing email without even being connected to Microsoft Exchange Server. In case of limited network connectivity, OST files prove helpful. These OST files are also can be called as copy of the folders you have on Exchange Server. Your bit of modification in OST file when you are working offline gets synchronized when you connect with Microsoft Exchange Server. The actual trouble arises in front of you when Exchange Server lead to corruption and OST files become unusable. Accessing OST files is possible, when using damaged OST files is issue. 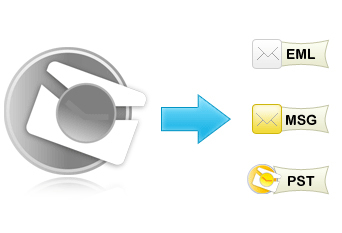 However, with external device like OST to PST Tool, you can recover OST files. This application will thrust OST damage, recovers them and will give you repair OST file. You can avail software in version 4.3 now, because many new features are added. What if you get the chance to know what the application is all about. Great isn't it, so utilize this Convert OST File to PST File and download the software, which will let you know the true value of the software. From features to working process, everything will get transparent in your mind. Preview recovered OST data and convert OST files but as far saving is concerned, buy the application. No special technical skills required. Buy Full Version : Till previewing OST files will left task unfinished, to bring data to the final stage, buy the OST to PST Tool is full edition, in any of the three licenses, Enterprise, Business or Personal. Ask Queries from Support : On the whole Convert OST File to PST File is simple in usage, but then also, if you come across any issue, straight away, contact support section, they will solve your query and will provide you best possible answers. You can have conversation with them or drop in email. Copyright © 2012 – 2019 www.ostpsttool.com | All Rights are Reserved.